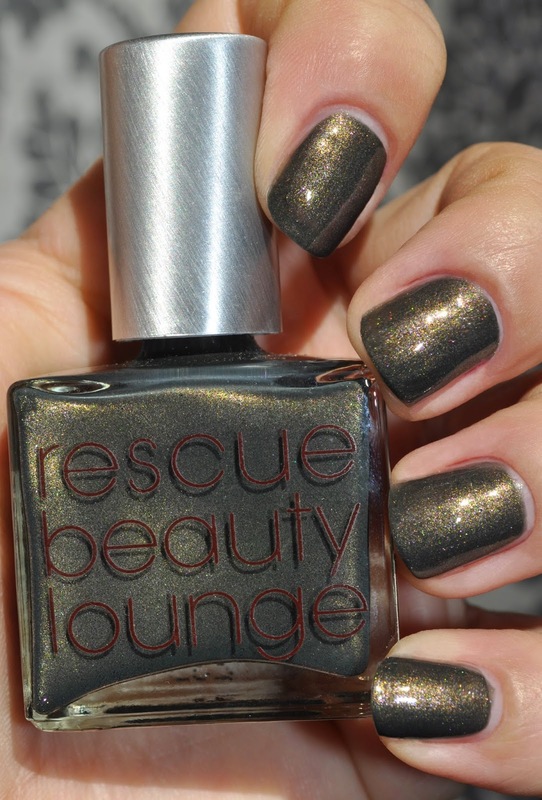 Released in the Fall of 2010, as part of the Housewives of Tudor Collection (can't remember the collection's proper name :P), Rescue Beauty Lounge's Anne was my introduction to the brand. Being a history nut, I was drawn to the polish because of the tragic historical figure it was named after, Anne Boleyn. And, just as Anne had captivated Henry VIII, I was bewitched by the polish's unique complexity. Anne is an enchanting murky, tarnished olive green, with old gold, lime green, and magenta pink shimmers. The formula is just as marvelous as the shade; full coverage with two coats, and I get five days of wear before experiencing my first chip. With Flash (neither photo captures Anne in all its amazingness). Whenever I wear Anne, I find myself completely enthralled and enamored. 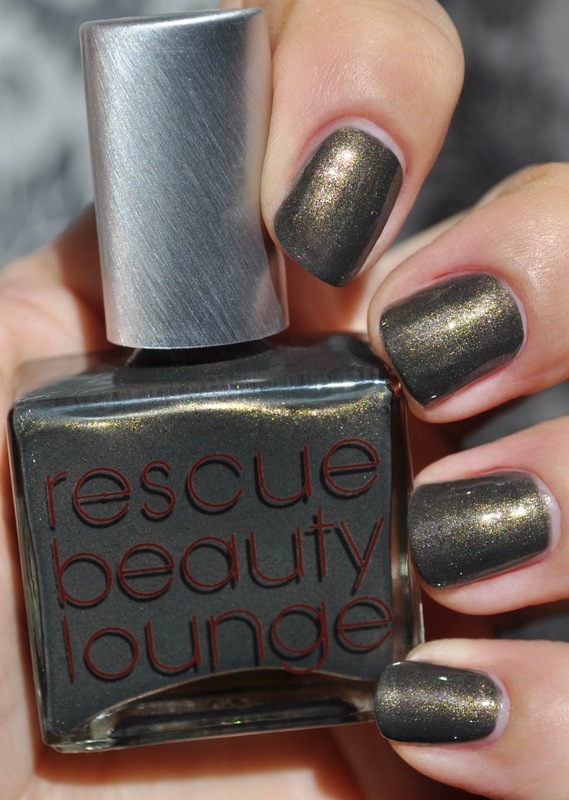 In my humble opinion, Anne is one of, if not the best, polishes from Rescue Beauty Lounge. 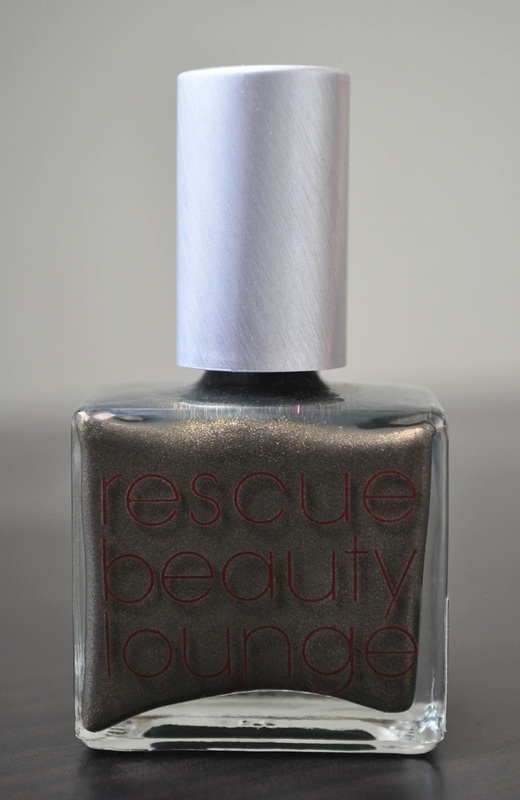 What was your first Rescue Beauty Lounge polish? Wow!!! This is a nice nail color. I would love to try it out for a change. I have not tried nail colors like this one so I guess this is the time. Something new for the new year. You'll love Anne Susie, it's truly unique.